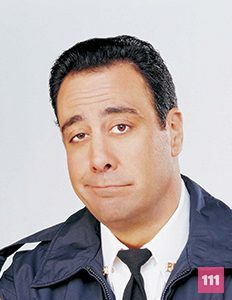 Robert Barone is the police officer brother of Ray Barone. Robert struggles with the obvious favouritism his parents Marie and Frank Barone have for his brother Ray. Robert has a rather pessimistic outlook on life, however there are a few things which help lift his spirit such as seeing Ray get into trouble from his parents. Born in Woodland HIlls, Los Angeles. His birth date is April 14th.